ST. CHARLES, Ill. – University of Illinois Extension appointed Deanna Roby-Vorgias of Itasca as the new County Director serving DuPage, Kane and Kendall Counties. Roby-Vorgias succeeds Sandra I. Davis, who retired in January with 48 years of service in Extension. As County Director, she will lead the tri-county unit and its 20-plus staff members in three office locations – St. Charles, Naperville and Yorkville. She will be responsible for personnel, financial, program, and facilities management. Roby-Vorgias has a master’s degree in Education – Human Resource Development from University of Illinois and a bachelor’s degree in Corporate and Organizational Communications – Business Administration from Northern Illinois University. She comes to the role with 25 years of experience with University of Illinois Extension and 4-H Youth Development, most of which has been in DuPage, Kane and Kendall Counties. In 2018, she earned the state Mentoring Extension Excellence Award. University of Illinois Extension provides practical information you can trust to help people, businesses and communities solve problems, develop skills and build a better future. 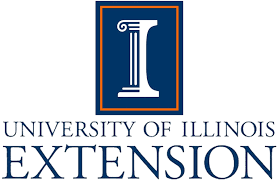 Based in the College of Agricultural, Consumer and Environmental Sciences, Extension is the statewide outreach program of the University of Illinois at Urbana Champaign, and its programs educate 1.3 million participants each year.